I love candles all year round and I love playing with glass containers and filling them with fillers that coordinate with the season. Sand in the summer, candy for the winter Holidays. While this is no new break through, I am sure you have heard of the Hillbilly glasses people are making. I decided to show you what a few dollars at the Dollar store, can create and keep glowing all year round. 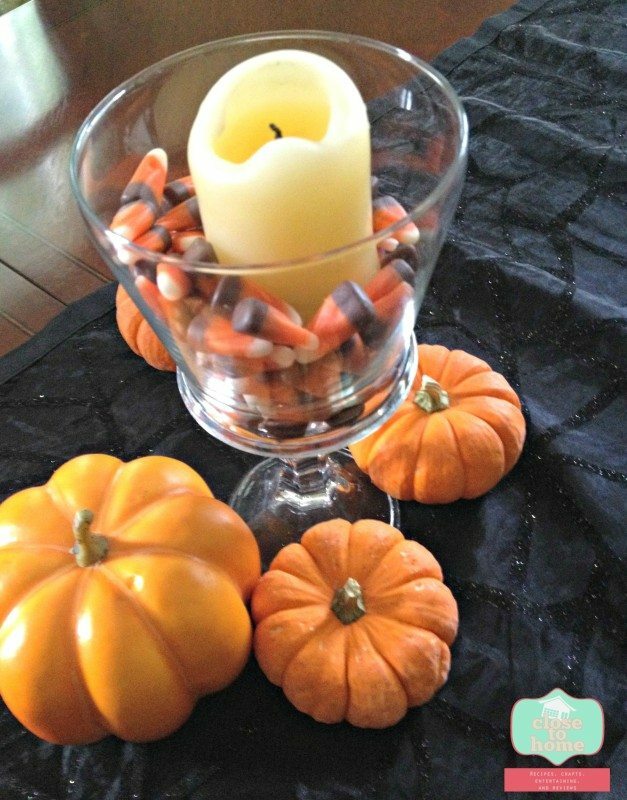 This Dollar Store Crafts, the DIY glass Candle Holders are definitely an easy but practical DIY Craft. Our Dollar Store carries the glass candlestick holders you see on all the Hill Billy Glasses on the market and web. The one expense is the glue. 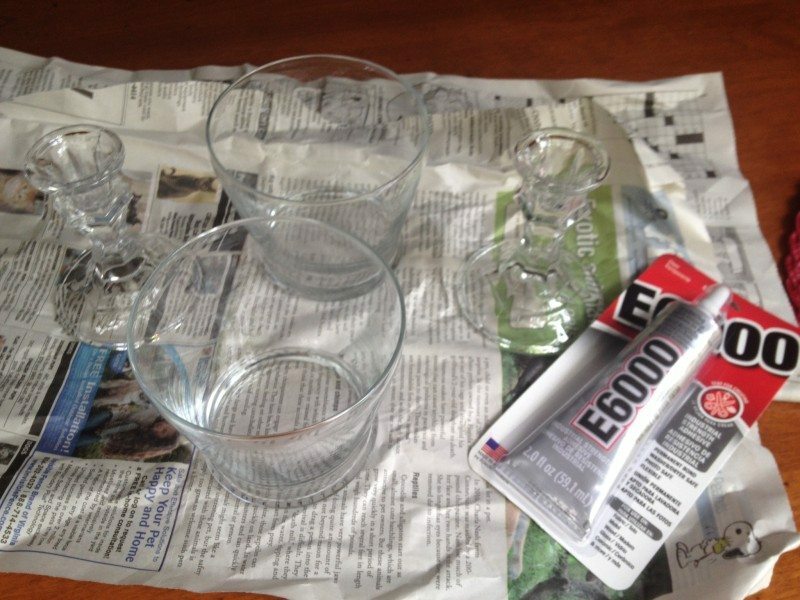 You need to get a good glass glue, I have been successful with E6000 Glue. Buy it with your 40% coupon from Michael’s to save on the cost of this project, but you only use a little so you can do many projects with one tube. Just be sure and close it tightly. Our dollar store had several different glass votives and bowls to choose from. I liked this wide rimmed votive holders. 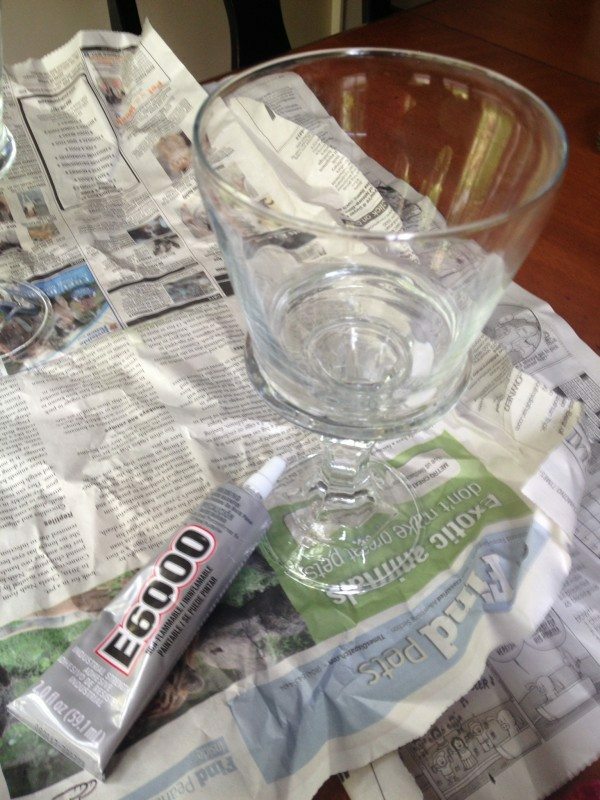 Work on newspaper as this glue is strong so you don’t want to glue something you don’t want glued together!! 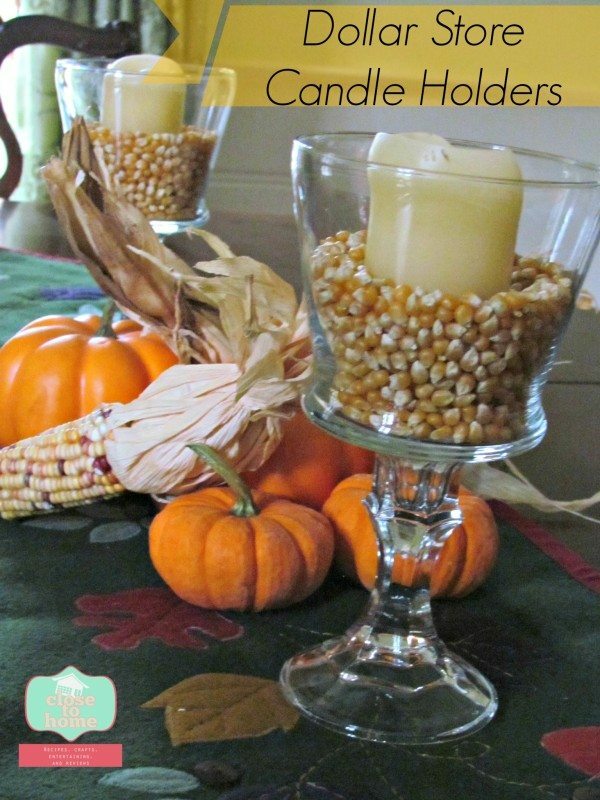 This Dollar Store craft is as easy as applying a little glue to the rim on the candlestick holder and pressing on the glass votive. I apply pressure for about 30 seconds just to secure the place. Make sure it is in the right place before pressing down. Do not touch the glass for at least 20-30 minutes just to be sure it it set. Here is the DIY candle Holder decorated for Halloween. I am so excited to get them ready for Christmas too. I may make more to line the fireplace mantle. Make a pair for a friend as a hostess gift or holiday gift. Doesn’t everyone love a handmade gift and one that is so practical is welcomed here. What will you fill these Dollar Store Candlestick Holders with? What a great idea!!! I am going to make some for the holidays!